Editing tools for Final Fantasy Tactics on the original Playstation. Edits Final Fantasy Tactics memory card save files. 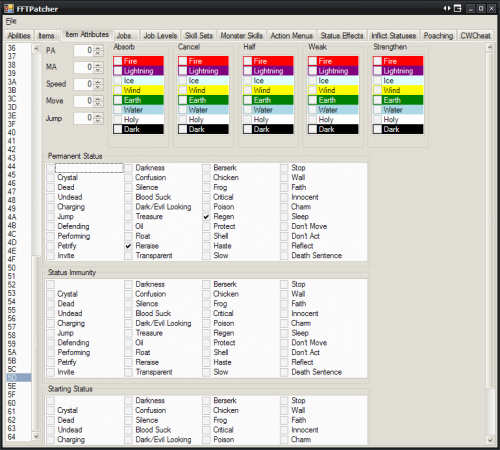 Can edit character inventory, statistics, and more. Tools that can edit Final Fantasy Tactics' sprites, data, text, code, and more.